Don’t you just love it when tech executives spill the beans on important and previously mysterious company announcements? Today, Google’s executive chairman and former Chief Executive Officer Eric Schmidt revealed Android activation numbers per day as well as the release timeline for the next version of Android, codenamed Ice Cream Sandwich. 550,000 phones are activated a day. That’s half a million phones per day, you can do the math. That number has doubled in 4 to 5 months, so if that continues it will, you know, fill the planet. Schmidt predicts slower growth as time goes on, which is only natural; after all, there are only so many people who will ever use a smartphone. Yet, there’s no doubt that Android has and will remain strong, at least in the foreseeable future. We have a new operating system, internally known as Ice Cream Sandwich for some reason, which is being released in October/November, which everyone’s really excited about. Ice Cream Sandwich represents a significant overhaul of how Android was developed in the past, by merging its tablet flavor (known as Honeycomb) and its smartphone counterpart (known as Gingerbread) together. Currently, both of these iteration of Android share different code bases which will now be brought under the same roof, that way simplifying Android’s development process while still providing different user experiences for both form factors, depending on the size of the screen. Let’s just say that Google is building an OS which will be consistent across the board, and will run on smartphones, tablets, televisions etc. 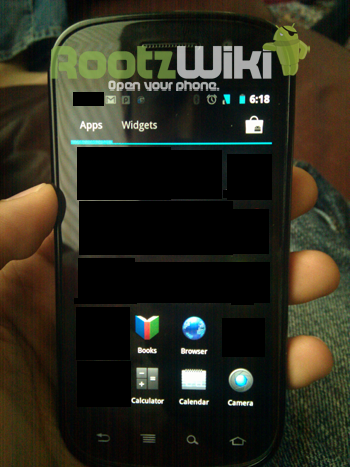 Last month, the first real screenshots of Ice Cream Sandwich surfaced running on a Nexus S. These blurry pictures depicted the Nexus S running Ice Cream Sandwich under the hood, which featured several user interface improvements as well as user interface paradigms that had been borrowed and adapted from Honeycomb based tablets. The release of Ice Cream Sandwich might be accompanied with a successor to the Google’s Nexus S; the Nexus Prime, as it’s called, is expected to sport an even faster processor and an AMOLED HD display.